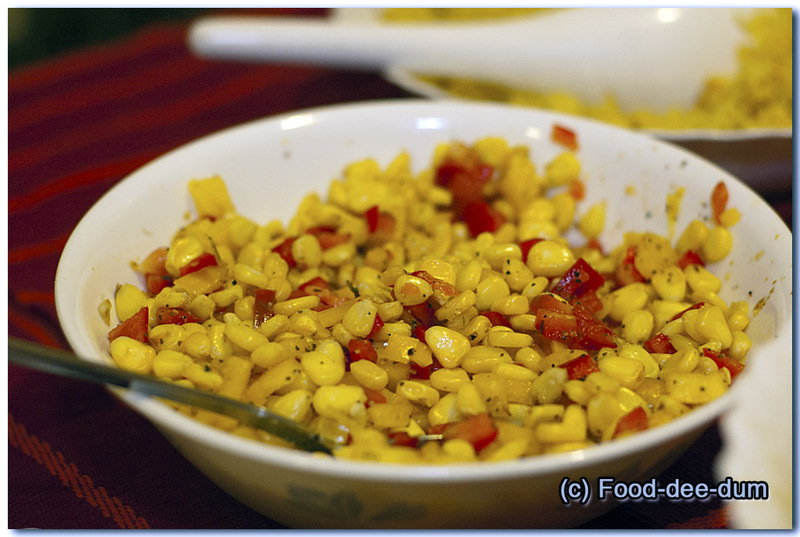 These are the accompaniments I used with my White Chilli dinner. Unfortunately, I’m very low on photos for this post. (Blaming it on AK’s sprained ankle again)! I dunked the tomatoes in boiling hot water for 10 mins so that the skin loosened and I could remove it. Then I chopped them up roughly (slightly chunky-ly). I washed the rice well, i.e. until the water in which I immersed the rice was clear, and not cloudy. In a pan (with a lid) I heated the oil. I added the onions and fried till translucent. Then I added the chillies and garlic and fried for another minute. I added the tomatoes and cooked them on medium heat for about 10 mins. Then I added the salt and spices and roasted till the air was fragrant with the aroma!! (About another 5 mins). I then added the washed and drained rice. I cooked it, stirring occasionally, for about 5 minutes on medium heat. The rice took on a lovely golden colour. I then added the stock & water, stirred and brought it to a boil. At this point, I put on the lid and lowered the heat to minimum. I cooked it for about 6-7 mins, until the rice had absorbed all the liquid. 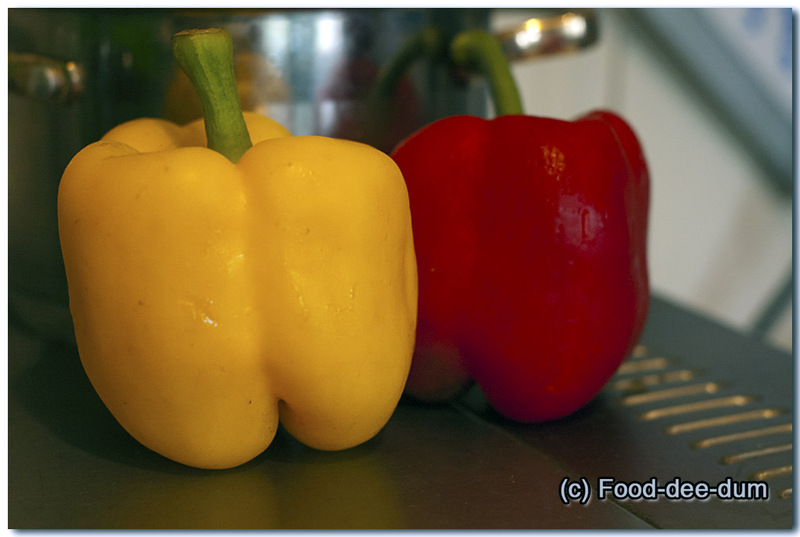 Depending on your stove, the time could vary so keep a close eye on it. When I saw gaps appearing in the rice and the liquid absorbed, I turned off the stove and allowed it to sit in the steam (without lifting the lid) for another 10 mins. 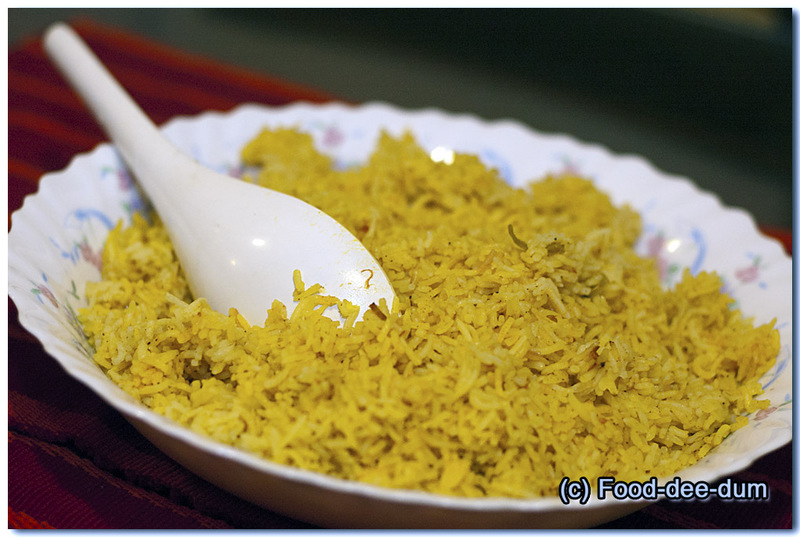 Then I lifted the lid and stirred the rice gently with a fork to separate out the grains. Then I placed it in a dish, ready to serve! I microwaved the corn for about 1 mins and allowed it to cool. Mixed them up and added the seasoning. I had a 5 minute salad ready…!! 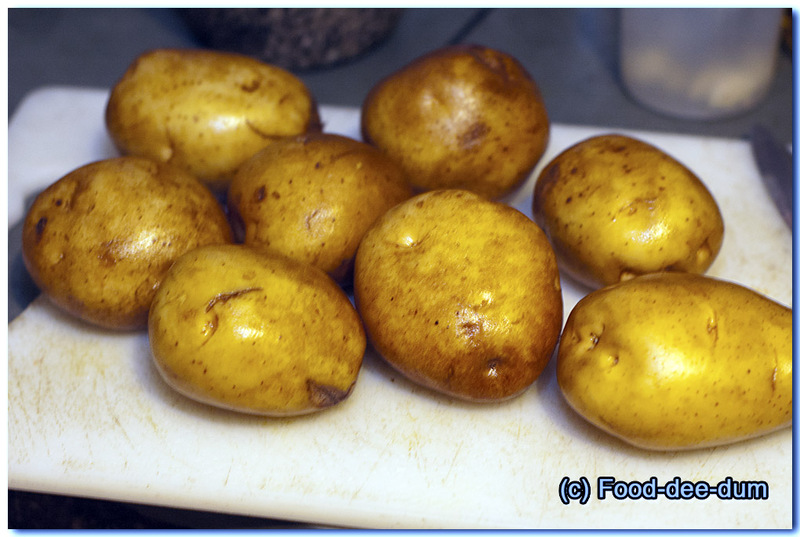 I scrubbed and washed the potatoes (very well, because they were to be consumed with the peel). Yes I know there are 8 in the pic. While I was chopping them, I decided there were too many and cut out two of them! I placed the butter and garlic in a microwave safe dish (with a lid). 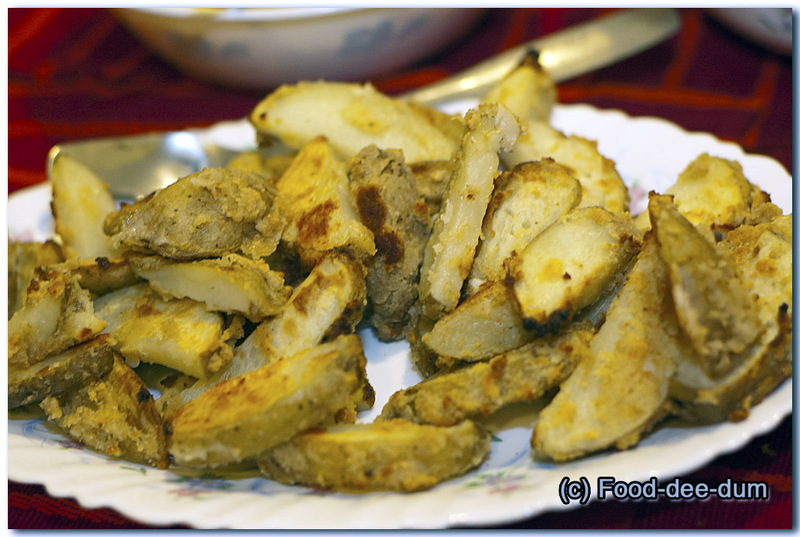 I then cut up the potatoes into wedges (sort of) – each potato into 8 pieces. I added these to the dish and tossed them well to coat with the butter garlic mixture. When the potatoes had cooled down considerably, I pre-heated the oven to 200 C. (Top and bottom coils). I mixed the breadcrumbs, flour and salt in a bowl. 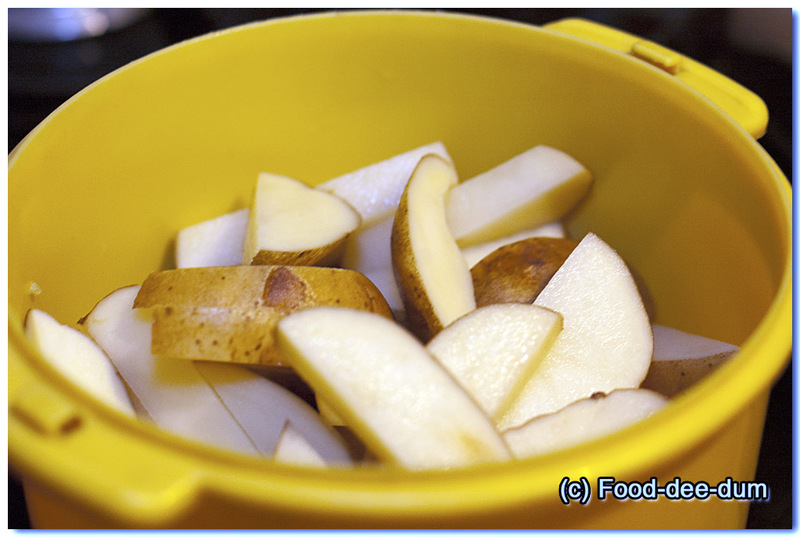 I added this mix to the potatoes in parts and tossed to coat. Then I placed them on a foil lined cookie tray in an even (sort of) layer! I baked these for about 30 mins, or until nice and golden! This is the simplest of ALL!! 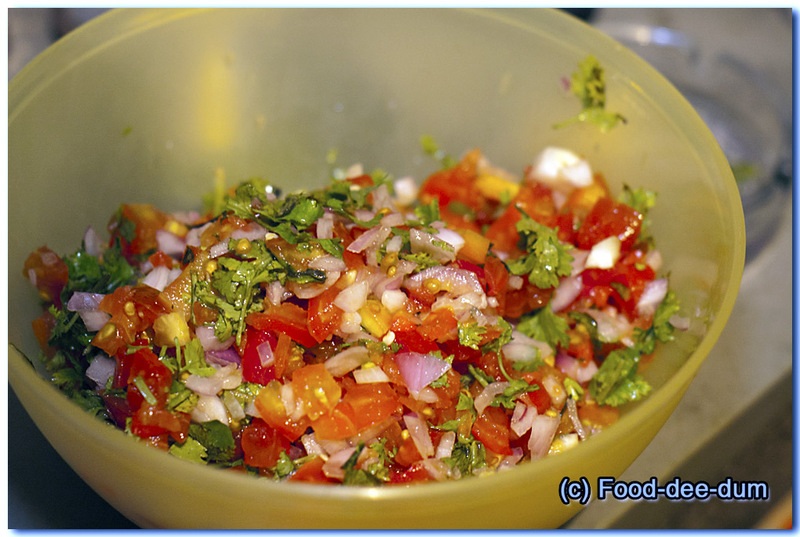 I chopped up the tomatoes, onions, chillies and coriander finely and placed them in a bowl. I added the salt, pepper and lemon juice. Tossed it, refrigerated for an hour and it was ready to serve!